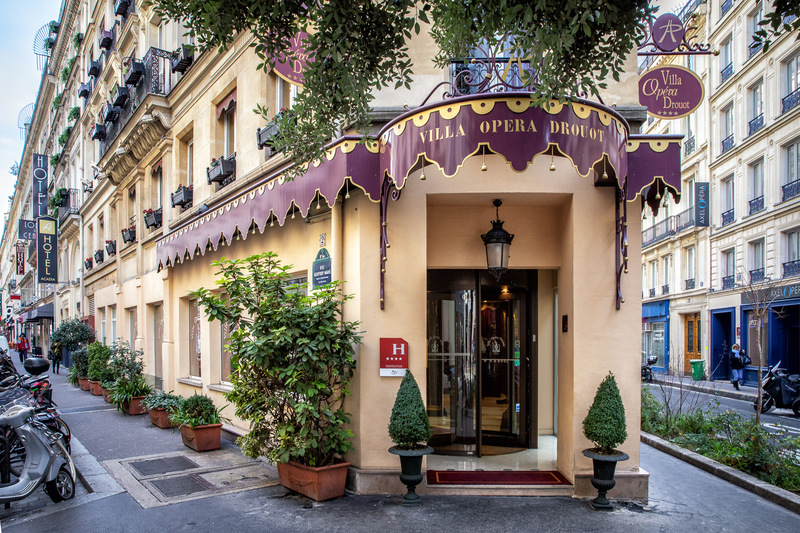 In ode to Paris from the Belle Époque, the Villa Opéra Drouot displays an elegant and cosy atmosphere with rich fabrics draping the windows and coating the floors, marble worktops and sparkly chandeliers. The Belle Époque throwback continues up into the 29 rooms and suites, with intricate, antique furniture and velvet furnishings. 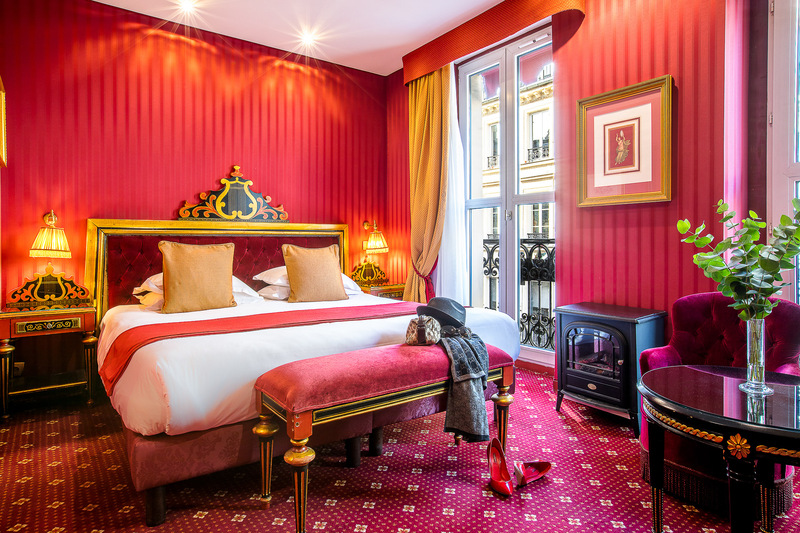 Combining Belle Époque elegance with confort, all rooms are spacious and bathed with natural lights and some offer a lovely balcony with a view over the Parisian rooftops. Single rooms include a single bed and have been thoughtfully designed to provide maximum comfort and intimacy in the most elegant of settings. These rooms offer a hi-speed wifi connection, a flat-screen TV with satellite channels, a mini bar and a private bathroom with free toiletries and a hairdryer. This room includes a double bed or twin beds at your convenience and is provided with a flatscreen television and its own minibar. A haidryer and free toiletries are available in the bathroom.. Come and enjoy a stay in one of our Belle Époque room and enjoy a unique retreat in the heart of Paris. These generously sized rooms have been thoughtfully designed to provide maximum comfort in the most elegant Belle Époque settings. Deluxe rooms include a double bed or twin beds, a flat-screen TV with satellite channels, a minibar, a coffee machine and a kettle for tea. A haidryer and free toiletries are available in the bathroom. This spacious and luminous room is equipped with a sofa bed and two single beds, including a hi-speed wifi connection, a satellite flat-screen TV and a minibar. A haidryer and free toiletries are available in the bathroom. Ideal for families or groups of friends, these duplex rooms can be equipped with a double bed and two single beds or a sofa bed and a double bed. They both include hi-speed Wi-Fi connection, satellite television, a minibar, a coffee machine and a kettle for tea . Their bathroom come with a hairdryer and toiletries. You will have plenty of room to relax in.